Outdoor mountain activities have always been part of Myriam’s life. 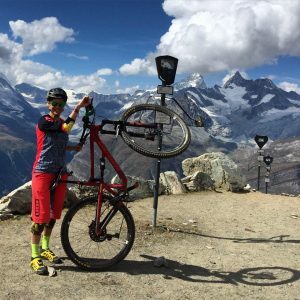 she made a career as pro mountain bikers between 2007 and 2011. She is using now her experience to share his passion. She has been guiding since 2016 and obtains her swiss Guiding certificate in june 2018. With her experience and her certificate swiss guiding she can take you to ride anywhere in switzerland ans share her experience. This certificat also allows her to be insured in switzerland. You can ride safely, in good compagny and enjoy her expérience sharing. Ride on!